Have a look below to see which jobs and contract types were big in London’s 2018 job market, and let Joblift’s insights guide your 2019 job search. Around 2,191,752 job vacancies based in Greater London were posted from 1st January to 31st December 2018. 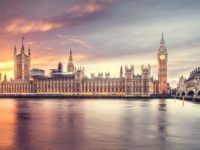 While it is true that with attractive salaries and the buzz of London, competition is pretty high for jobs in the capital, new roles in London made up a huge 23% of the United Kingdom’s overall job market last year. With more than one in every five UK jobs based in London in 2018, the biggest lesson to take from this is to not feel disheartened by the number of other candidates! Your dream job in London awaits! In 2018, Programmers took the top spot as the most requested professionals in London! In fact, around 82,000 vacancies were posted looking for programmatic individuals to fill the open roles. Sales Managers came in second place, with Management, Policy and Government officials rounding off the top three. It was also good news for jobseekers looking for roles in Communication, with almost 70,000 vacancies advertising for Marketing and Public Relations Managers in the capital. And finally, with almost 60,000 job postings, Primary School Teachers were the fifth most in-demand professionals in London last year. This is, of course, great news if you’re looking for a role in one of the top five professions, but it’s also very encouraging for all jobseekers. The variety of jobs which made up last year’s top five shows that the job market in a number of professions is very buoyant, so get applying! These industries advertised the most job vacancies last year, with ICT positions making up 13% of London’s job market. London’s notoriously competitive Sales and Trading sector advertised 9% of all of the city’s job vacancies, with Administration and Customer Service accounting for 8%. London’s financial sector is world-renowned and landing a banking job in the capital is at the top of many a jobseeker’s wishlists. And, while the uncertainty around Brexit and the possible effects are said to have shaken this sector, Insurance and Finance jobs made up 8% of the city’s jobs. This gives at least some indication that confidence still lies with London’s finance landscape! Finally, Healthcare made up 7% of the city’s overall job market, advertising just over 160,000 jobs. With this in mind, considering jobs in these top five industries is a great place to focus on starting your 2019 job search. London’s 2018 vacancy market was made up primarily of full-time positions, meaning those with a contract of over 32 hours per week. Full-time positions made up a huge 93% of the job market, with more than 2,000,000 jobs posted! That means if you’re after a Monday to Friday 9-to-5 job, the capital is a great place to job hunt. On the other hand, while part-time positions accounted for just 7% of the overall job vacancies, they actually increased at a higher rate than full-time positions. Part-time job roles increased by an average of 2% each month last year, that’s double the rate of full-time positions! Perhaps a lesson could be to look into part-time roles which have the potential to merge into a full-time position, if you aren’t initially having any luck with your full-time job search. Taking a look at the type of companies that advertised positions in London in 2018 throws up some interesting insights. Startups made a huge contribution to the city’s hiring landscape in 2018. In fact, 62% of all vacancies advertised were for positions in companies with up to 50 employees, suggesting a small but growing startup work environment. 15% of job postings advertised roles in companies with 50 to 500 employees, and 13% in companies with a staff of between 500 and 5,000. Interestingly, job vacancies in companies with more than 5,000 employees accounted for 16% of London’s hiring market, but this category saw the largest monthly increase of all company sizes. Vacancies in these companies increased by an average of 4% monthly, four times more than vacancies in startups (companies with 50 staff or less). Looking at these stats, jobseekers should consider the size of the company they want to look for jobs in. Startups are great options given the large number of available vacancies. However, do not be put off by large corporations if your skills are a fit, the monthly increase in vacancies is an encouraging sign.